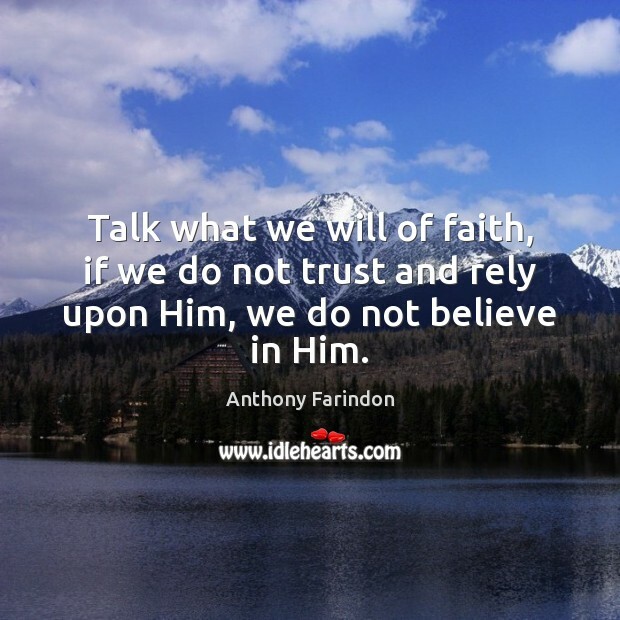 Enjoy the best inspirational, motivational, positive, funny and famous quotes by Anthony Farindon. Use words and picture quotations to push forward and inspire you keep going in life! Talk what we will of faith, if we do not trust and rely upon Him, we do not believe in Him.